Matilda is usually a very happy little girl but for some reason she has sad thoughts that make her feel sad and she cant seem to find her happiness. Sammie and Charlie are Matildas best friends and together the three of them set out on an exciting journey to help Matilda find her happiness. 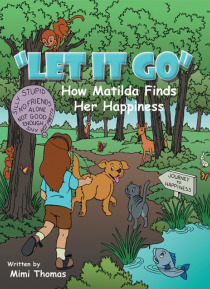 Along the way, they meet some funny and interesting characters that help Matilda to be happy again.